2019 Spring Draft SAKE!!! Limited! Drink them before get sold out! Valentine’s Day Special by World Sake Take Over Night at GEN! Mutual Trading Inc Sake List Take Over Night! One night only! 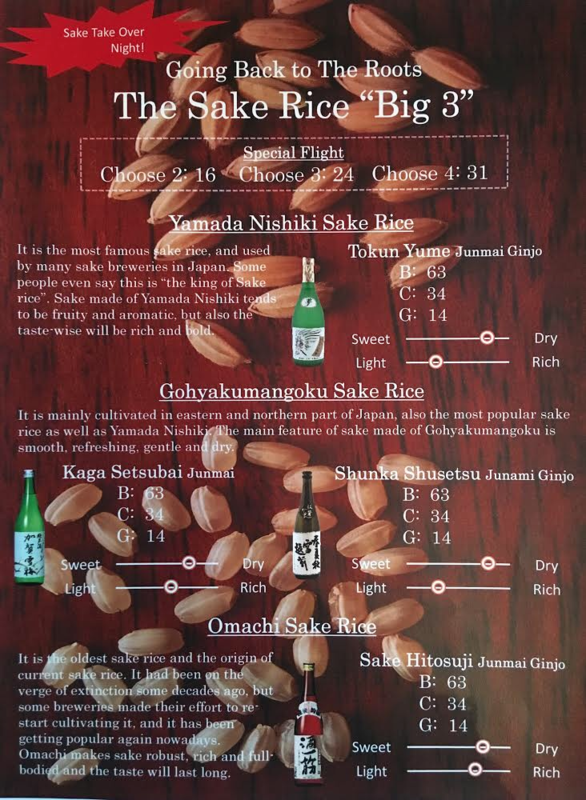 SAKEMAN’s Sake List Take Over Night! One night only! Sake list take over night by World Sake! One night only! Monica’s Sake List Take Over Night! Sake List Take Over Night! One night only event! Don’t miss it! ONE NIGHT ONLY! WITH MIYAO SAKE BREWERY FROM NIIGATA JAPAN! ONLY ON TUESDAYS WE HAVE SAKE SPECIAL. IT'S $25 AND YOU CAN DRINK KENBISHI AS MUCH AS YOU WANT. NAMA SAKE IS STILL AVAILABLE AT GEN ! 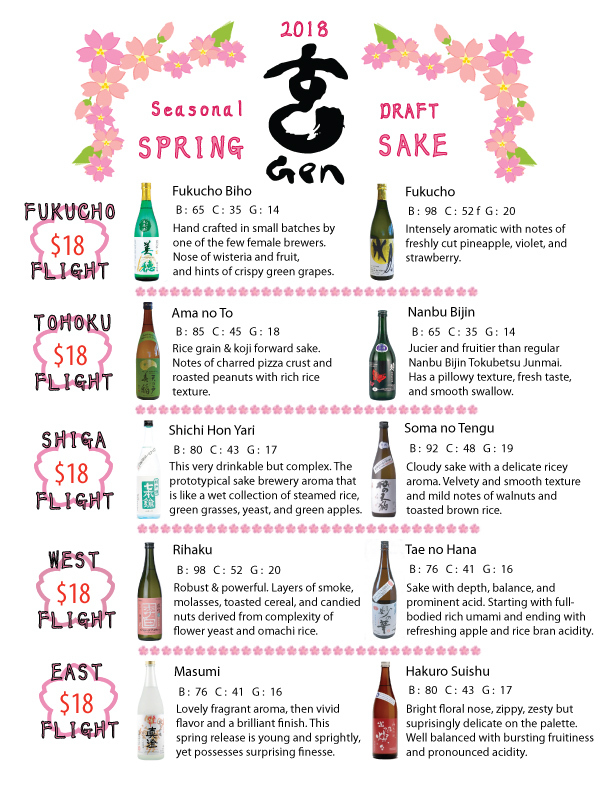 We just added seasonal & limited draft sake to our sake selection. Tonight only ! Yaegaki Sake Brewery CEO is in the house !! Meet Mioya Sake Brewery CEO @ Gen ! One of Female Masters in Japan. One Night Only ! Meet kikusui Sake Brewery CEO @ Gen !! TONIGHT ONLY! MIYAO SAKE BREWERY'S CEO IS IN THE HOUSE!